Feel free to save this image, add your logo, and send it to your friends and family. Anyone in the real estate industry can white label Vow2Save and ‘sponsor’ a website. It’s such a fun way to turn dreamers into owners, and stay in touch with your past clients to build multi-generational sales. We provide easy to use flyers and social media graphics – just add your logo. 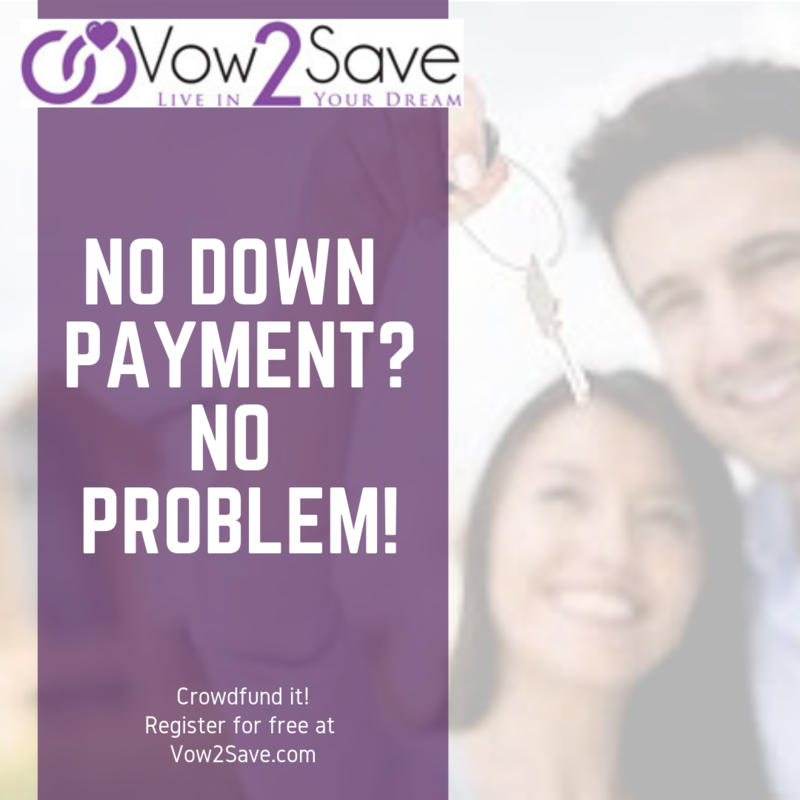 You can register your clients directly, or you can send them to vow2save.com to register all on their own. Vow2Save encourages the concept of a real estate team, and every template website comes with a page to display the ‘dream team’ members (aka YOU). You’ll build trust as you guide people on their homeownership journey. We want both engaged couples AND real estate professionals to embrace this platform as their own to share and change lives. If you’d like to become a preferred ‘Vow2Save sponsor’ in your area, we offer that too. Some couples register on their own and need good guidance, and we consistently run print and online marketing campaigns to get the word out about this special program. Simply contact us to be involved. There are no fees for real estate professionals unless a close actually occurs, and then a 10% referral fee applies. 3% of that will go to the charity or 501c3 of your clients’ choice. The only fees to engaged couples (or individuals) who register are standard from Paypal, NOT from Vow2Save. 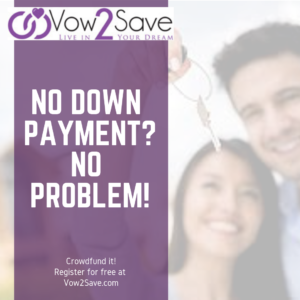 It’s a small price to pay to crowdfund a down payment! Can Crowdfunding a downpayment actually work? So far our registries are averaging 5-10K in funds – WOW! Many lenders are opening up guidelines to accept crowd fund sources as an acceptable down payment. Here’s a blog post case study to check out and inspire YOUR clients. If you really think about it, $10,000 is 100 people offering a gift of $100. That is completely do-able for today’s weddings, and it’s a respectable amount for a down payment. Help people make the connection! YOU get a lifetime client –> THEY get a home –> CHARITY gets remembered ——-> It’s a win-win-WIN for all involved!